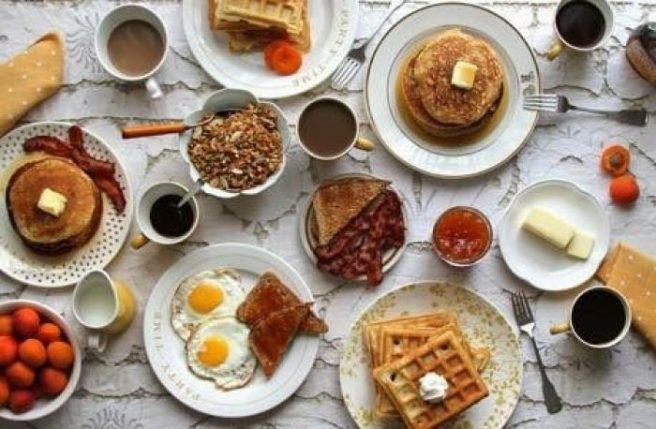 Brunch is good for your HEALTH, not that we needed persuading | SHEmazing! So we all love brunch, it's become a bit of a Sunday institution. There is nothing better than tucking into a perfect plate of Insta-worthy poached eggs. Now, we don't even have to justify out Sunday foodie splurging, because brunch is good for your health, as discovered by Real Simple. 5. Brunch foods often include healthy ingredients. Eggs, avocados, salmon and whole meal toast make up some of the most popular brunch dishes. All of these fresh ingredients are chock-a-block full of protein, nutrients and healthy fats, so get that perfect avocado toast picture and bask in your smug healthy glow. That being said, we'll still be opting for fluffy pancakes and Belgian waffles occasionally. 4. You get your beauty sleep. Making sure your body gets all the sleep it needs is important, so rather than getting up for breakfast, sleeping in for brunch could actually be good for you. Sleep is involved in the healing and repair processes of the body, including of the heart and blood vessels. Sleep deficiency is linked to an increased risk of heart disease, kidney disease, high blood pressure, diabetes, and stroke, according to the National Heart, Lung and Blood Institute. 3. Socialising is good for the mental health. Humans are social creatures, and brunch brings people together. "Interacting with others boosts feelings of well-being and decreases feelings of depression. Research has shown that one sure way of improving your mood is to work on building social connections," according to Psychology Today. 2. Getting out of the house is full of health benefits. It's good to actually leave the house during the weekend to do something other than party. Strolling to your local bistro for brunch is a good way to incorporate a few extra minutes of exercise, and getting some sunlight on that Irish pallor is necessary for a well needed vitamin D boost. Most brunch meals have a good mix of carbs, proteins and healthy fats. A multi-faceted brunch meal is often much healthier and provides you with better nutrients all round than grabbing something quick for breakfast and lunch.